98. On the subject of the validity of patents, trade marks, designs, or other similar rights required to be deposited or registered, the rule governing jurisdiction is generally the one laid down in the 1988 Convention [the Lugano Convention on jurisdiction and the enforcement of judgments in civil and commercial matters 1988]. Exclusive jurisdiction is conferred on the courts of the State bound by the Convention in whose territory the deposit or registration has been applied for, has taken place or is deemed to have taken place under the terms of an international convention or, as the new wording makes clear, a Community instrument. This last point has been added to remove any doubt about the equivalence of Community law concerning intellectual and industrial property rights with the law of the international conventions in force. 99. Exclusive jurisdiction also applies with respect to patents granted on the basis of the Convention on the grant of European patents, signed in Munich on 5 October 1973. The rule according to which the courts of each State bound by the Convention are to have exclusive jurisdiction in proceedings concerned with the registration or validity of any European patent granted for that State, without prejudice to the jurisdiction of the European Patent Office, which was contained in Article Vd of Protocol 1 to the 1988 Convention, has now been incorporated into Article 22(4). The last part of the provision as it stood in the Protocol has been omitted: it made an exception to the exclusive jurisdiction of the courts of the States bound by the Convention where the patent was a Community patent under Article 86 of the Convention for the European patent for the common market, signed in Luxembourg on 15 December 1975. The Luxembourg Convention, amended by a subsequent Agreement relating to Community patents signed in Luxembourg on 15 December 1989, provided for the grant of a Community patent similar to national patents, but independent of them and with equivalent effects in all Contracting States. It declared the Brussels Convention to be applicable to all actions concerning Community patents, while establishing a special jurisdiction for disputes concerning validity and infringement. The Luxembourg Convention never came into force, and no reference has been made to it in the new Lugano Convention. 101. The diplomatic conference held from 10 to 12 October 2006 discussed whether it would be advisable to append to the Lugano Convention a protocol conferring exclusive jurisdiction on the Court of Justice in matters of Community industrial property rights. Such a protocol would have the advantage of assigning to a single court disputes on the validity of patents and disputes on infringement, which under the Lugano Convention would otherwise have to be brought before different courts. But against the proposed protocol it was argued that it did not circumscribe the disputes concerned with sufficient precision, leaving their definition to Community legislation to be enacted later, and that to include actions for infringement was a major departure from the rules of jurisdiction in the Lugano Convention and would compromise its overall harmony. It proved impossible to arrive at a satisfactory formulation, and the diplomatic conference consequently preferred to defer consideration of such a protocol to a later date, when a Regulation on the Community patent had been adopted. 102. The protocol conferring exclusive jurisdiction on the Court of Justice in industrial property matters drew attention to certain needs which have in fact been at least partially satisfied by the subsequent case-law of the Court of Justice: before the signature of the new Convention, the Court found itself called upon to decide the question whether the rule of exclusive jurisdiction over registration or validity of a patent applied irrespective of whether the issue was raised by way of an action or a plea in objection. The Court held that it did: in the light of the position and objective of the provision within the scheme of the Brussels Convention, the view had to be taken that the courts of the State of registration of the patent had exclusive jurisdiction ‘whatever the form of proceedings in which the issue of a patent’s validity is raised, be it by way of an action or a plea in objection, at the time the case is brought or at a later stage in the proceedings’. The Court of Justice thus held that where an action was brought for infringement, the court seised could not find indirectly that the patent at issue was invalid, even if the effects of the judgment were limited to the parties to the proceedings, as happened under the national laws of some of the States bound by the Convention. In view of that precedent, a court called upon to hear an action for infringement of a patent in which the question arises whether the patent is valid must, unless it has exclusive jurisdiction to decide the validity of the patent under Article 22(4), of its own motion declare that it lacks jurisdiction to determine the point under Article 25 of the Convention; and depending on the procedures allowed by the national law applicable, it may have to suspend the infringement proceedings, pending judgment by the court with exclusive jurisdiction, before reaching a decision on the substance. Consequently, the wording of Article 22(4) of the new Convention was modified compared both to the corresponding provision in the 1988 Lugano Convention and Article 22(4) of the Brussels I Regulation, in order to incorporate the GAT ruling of the Court of Justice [judgment here; short note here]. The position adopted by the Court of Justice largely satisfies the intended purposes of the proposal for a protocol on the exclusive jurisdiction of the Court of Justice, by requiring a single exclusive jurisdiction for actions challenging validity or alleging infringement, which prevents rulings on the validity of a patent from being delivered by more than one court, even if they are considering quite different aspects of the matter, and thus avoids the danger of conflicting decisions. If the European Community were to adopt a Regulation on the issue of a Community patent, and to confer exclusive jurisdiction over the registration and validity of patents on the Court of Justice, a court of a State bound by the Convention which was called upon to hear an action for infringement of a Community patent could not rule even indirectly on the validity of the patent, and for that question would have to recognise the exclusive jurisdiction of the Court of Justice, and treat that court as it would another national court". "In other words, the present report is not intended to offer clarification of the Regulation, or to give indications as to its interpretation or the application of the rules it lays down: its sole purpose is to explain the rules of the Lugano Convention as they stand after revision". PatLit is unsure of the legal status of this document and does not know the extent to which it might be considered authoritative, influential or binding in legal proceedings. NOTE: the judgment in the case discussed below can now be accessed here. "The ruling ... prevents Microsoft from selling any versions of Word 2003 or Word 2007 after January 11 2010. Copies of these products sold before this date are not affected. Loudon Owen, Chairman of i4i, described the ruling as “a war cry for talented inventors whose patents are infringed”... Mr Owen said that the XML feature at the heart of the dispute was an important tool for users such as drugs companies who routinely handled large amounts of data. By removing it from its Word 2007 software Microsoft would disadvantage those users. ... He did not rule out licensing the XML feature to Microsoft. "They know where to find us if they want to talk," he said. In court documents filed during its long-running dispute with i4i, Microsoft had originally claimed that a ban on sales “will inflict irreparable harm on Microsoft by potentially keeping the centerpiece of its product line out of the market for months." But yesterday the company brushed off the ruling, saying that it had already “put the wheels in motion” to remove the disputed feature from its products. “We expect to have copies of Microsoft Word 2007 and Office 2007, with this feature removed, available for US sale and distribution by the injunction date,” Kevin Kutz, Microsoft’s director of public affairs, said. He added that the beta versions of Microsoft Word 2010 and Microsoft Office 2010, which are available now for downloading, do not contain the technology covered by the injunction. The ruling follows an earlier injunction issued by a US disctict court in Texas barring Microsoft from selling recent versions if its Word software, after the company was found to have wilfully infringed a patent held by i4i, a Toronto-based technology company, through the use of a technology used to classify documents for retrieval by computers. That injunction was stayed while Microsoft appealed. In the latest ruling, the three-judge panel said: "A small company was practicing its patent, only to suffer a loss of market share, brand recognition, and customer goodwill as the result of the defendant's infringing acts." It noted that the “district court found that Microsoft captured 80 percent of the custom XML market with its infringing Word products, forcing i4i to change its business strategy." ...". Microsoft is said to be considering applying for a rehearing or an appeal to the US Supreme Court. What is interesting here is that, following the earlier ruling of the US Supreme Court in eBay v MercExchange (here, noted by the IPKat here), many commentators felt that the loss of what was regarded as an automatic entitlement to injunctive relief would cripple patent owners. This decision has shown that this is unlikely to be so and that, at least where the defendant has a good chance of amending its product within a reasonable time so as to avoid infringement, an injunctive order will certainly be an option for the court in the exercise of its discretion. "Glad" and "comforted" by German decision -- but don't cite anyone else's! 79. We were provided with two thick bundles of decisions about the corresponding patent in a host of jurisdictions (the US, Canada, the Czech Republic, Finland, Romania, Slovakia, Slovenia, Spain, China and Hungary). In some countries there was more than one decision. 80. I did not find this all that helpful. Mr Carr invited us particularly to follow the Canadian decisions (where the patent was held invalid) and in particular the decision of Hughes J of June 5th 2007. He essentially followed the IG approach in saying that the Patent had to disclose an advantage over the prior art. It does not seem he was shown the EPO case law (why should he have been?). It does not seem that he was invited to consider patentability on the basis of whether the Patent disclosed real advantages over what was actually known. So I decline Mr Carr’s suggestion. 81. I do not find it necessary to refer to any of the other decisions, save for that of the German Supreme Court (the Bundesgerichthof) of 16th December 2008, which I have mentioned briefly already. The Court held the Patent valid. All the arguments before us were available to be considered, although only some were considered explicitly. The Bundespatentsgericht had held the patent anticipated over Chakrabarti 1980 (a point not run here). The BGH rejected both anticipation and obviousness over 235, pithily but essentially for the same reasons as Floyd J did and we do. 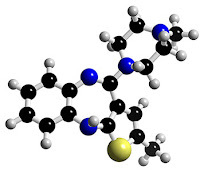 They had an expert who said that there was no reason to pick olanzapine out of the vast prior class and that was enough both for novelty and non-obviousness. And they rejected in some more detail obviousness over Chakrabarti 1980. 82. We of course are not bound by a decision of another national court. And indeed it is quite possible for national courts applying the same law to come to different conclusions because the evidence is different. So I say no more than that I am glad we reach the same decision as the BGH. It is an example of the fact that, by and large, different courts in Europe do reach the same conclusions – even though, perhaps understandably, the rarer cases where they differ get more publicity". "118. I should add that I draw comfort in reaching this conclusion from the fact that in Germany both the Oberlandsgericht, determining infringement in the decision I have mentioned in paragraph , and the Bundesgerichthof, determining validity on appeal from the Bundespatentgericht, reached the same conclusion, namely that the Patent was valid". The Centre d'Etudes Internationales de la Propriété Intellectuelle (CEIPI), Strasbourg, is organising a conference, "Towards a European Patent Court", on April 16 and 17, 2010. Hosted in the European Parliament Building, Strasbourg, the event is likely to be a well-attended one. Further information (though as yet there's not much of it) is available here. 'Defusing the “Atomic Bomb” of Patent Litigation: Avoiding and Defending Against Allegations of Inequitable Conduct After McKesson et al.' is the title of an article by Pofessor Sean M. O'Connor in the just-published latest issue of the John Marshall Review of Intellectual Property Law (citation: 9 J. Marshall Rev. Intell. Prop. L. 330 (2009)). "The doctrine of inequitable conduct in patent law has a long and vexing history. While it is sometimes mistakenly conflated with the United States Patent and Trademark Office’s Rule 56, the doctrine is actually a purely equitable one established by the Supreme Court in 1945—and not revisited by it since then. This Article re-establishes the roots and proper context of the doctrine, while tracing its confused interactions with Rule 56 over the ensuing decades. The Article reaffirms the necessary balancing act between over and under disclosure of references during patent prosecution, and the inverse sliding scale relationship of materiality and intent to deceive for courts’ invocation of the doctrine as a patent litigation defense rendering the patent unenforceable. It concludes by proposing a “damages-at-law only” litigation tactic by patent owners to preclude the use of the doctrine by defendants". The full text of this article may be read here. "EPLAW was formed in the year 2001 as a non-profit making corporation with a view to promote the equitable and efficacious handling of patent disputes in Europe and to strengthen the links between lawyers having relevant litigious experience in patent law in Europe. Members of the Association must be lawyers admitted to a bar or similar law society in a country in the European Economic Area and Switzerland and have substantial litigation experience in patent law". The Blog has an archive that stretches back to January 2009 and it's internally searchable. Its Editorial Board consists of 33 members drawn from 11 jurisdictions, under the editorial baton of Annette Hirschfeld (Tilburg University). Readers may wish to note that it's sponsored and carries advertising. 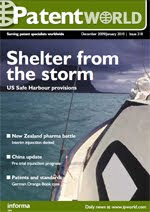 You can view the EPLAW Patent Blog here. The December 2009/January 2010 issue of Patent World, published ten times a year by Informa, carries an article, "International Trade Commission exclusion orders" by two Kilpatrick Stockton attorneys, Chris Murphy (Washington DC) and Wilson White (Atlanta). The authors review ITC's practice regarding orders made under section 337 of the Tariff Act 1930 ewhich empowers the ITC to exclude articles from import if they are found to infringe a valid US intellectual property right by either a general exclusion order or a limited exclusion order. The article concludes that the ITC "provides a forum for fast and efficient resolution of intellectual property disputes and enjoys the reputation for providing remedies tailored to protect both the rights of IP owners and the public interest in unrestricted trade" even though recent developments in the Kyocera and Tessera cases have probably diminished its appeal as a forum. Patent World's home page can be visited here. PatLit team member Michael Burdon is on the journal's editorial board. "It has become customary for the Audiencia Provincial de Barcelona (Barcelona Court of Appeals – the first specialised IP Court in Spain) to apply the European Patent Convention in patent cases. This time however, a recently published judgment of the Audiencia dated 5 May 2009 goes a step further by elaborating on the novelty requirement by citing (and applying) the doctrine emanating from the EPO’s Board of Appeals. In order to assess the validity of a Spanish patent, the Court applied Articles 9.2 (“implicit features or well-known equivalents”) and 9.6 (“implicit disclosure and parameters”) of the Guidelines for Examination in the EPO, which is no longer an exotic piece of literature for patent litigators in Spain. The Court then stated that, when assessing the novelty requirement in the course of a Spanish patent/utility model cancellation action, the Court must apply the “explicit” and “implicit” novelty doctrine as developed by the EPO’s Boards of Appeal in Decisions T 12/81, T 140/94, T 658/92, T 793/93 and T 101/98. According to the reported Judgment, a patent will be anticipated if it is shown to be derived implicitly ofrom a prior publication, provided that an “expert skilled in the art” would inevitably reach the invention as described in the prior publication (even though the patented invention is not explicitly mentioned in the prior publication)." Thanks, Ignacio -- we really appreciate your effort to keep our readers informed. German, but looking to be more American? Last night's PatLit seminar, "Patent litigation in the US and Japan: what's the difference? ", provided some fascinating insights into the Japanese approach to patent litigation. 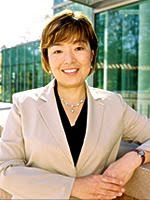 Our speaker Professor Toshiko Takenaka (Associate Director, Graduate Program in Intellectual Property Law and Policy Director, CASRIP), portrayed Japan as a country which, while operating a German-based civil law tradition, sought to graft on some of features of US law which evolved from its case-law jurisprudence. She also explained how, on account of its rapid industrialisation, Japan continued to view itself as a developing nation long after it had become a sophisticated industrial and technological power-house. With some minor qualifications, strong parallels could be drawn between the emergence of Japan as a patent-based jurisdiction two decades ago with the position of China today. The seminar became quite participative at the point at which discovery (or 'disclosure' as we Brits must now call it), burden of proof and heads of damages were discussed. 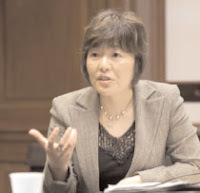 Comparing US and EU infringement remedies, Professor Takenaka raised the question whether the US law on damages was TRIPS-compliant, which left me wondering why so few UK intellectual property practitioners ever get sufficiently excited by TRIPS to read it. Other features of the seminar included some very pleasant mince pies provided by the seminar hosts Olswang LLP (thank you!) and a raffle for the copy of Professor Takenaka's Patent Law and Theory: a Handbook of Contemporary Research (Edward Elgar Publishing, 2009), kindly provided by the publisher. Professor Takenaka's PowerPoints, which go considerably beyond the scope of her talk last night, are available here. "In 2009, the cost of the average patent lawsuit, which was $5,000,000 in 2007, rose to $5,500,000. The increased cost of patent litigation was indicative of the overall trend in intellectual property (IP) litigation. Across the board, the cost of IP litigation has risen substantially in recent years. Since 2001, the cost of patent, trademark and copyright lawsuits has risen 48 percent, 38 percent and 73 percent respectively. And with estimates showing the cost of IP litigation rising at almost 20 percent a year, there is no indication that the trend of rising costs will end anytime soon".
" ... The policy language itself is the most important factor in determining coverage. Courts will not go outside the plain meaning of the language in the policy to provide relief for the insured. For example, in Discover Fin. Servs. v. Nat'l Union , 527 F. Supp. 2d 806 (N.D. Ill. 2007) (applying Illinois law), the court granted summary judgment for an insurer, finding that it did not have a duty to defend the insured in its patent infringement action. Despite the insured's attempt to redefine the claims through interrogatories, the court held that the insured's claims did not qualify for coverage. Traditionally, companies have relied solely on the CGL [= commercial general liability] policy to cover their business risks, but as the insurance industry has adjusted to avoid providing protection for newly evolved risks, like IP litigation, companies should consider purchasing specialized insurance policies to ensure coverage, where and if available". While insurance policies, and the manner in which they are interpreted, may change from jurisdiction to jurisdiction, the thing that remains constant is the factor which both unites and divides insurer and insured -- neither wants to have to pay out. 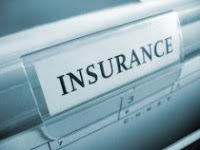 The insured is always in a stronger position than the insured in that it both calculates the odds and fixes the premiums, while it may be able to reduce or escape liability to pay where the insured is successful or where the construction of the policy terms works in its favour. This is why there's a strong argument in favour of groups of businesses within a specific sector clubbing together to evaluate their own risks, set their own rates and give guidance as to how their terms might be applied or construed. 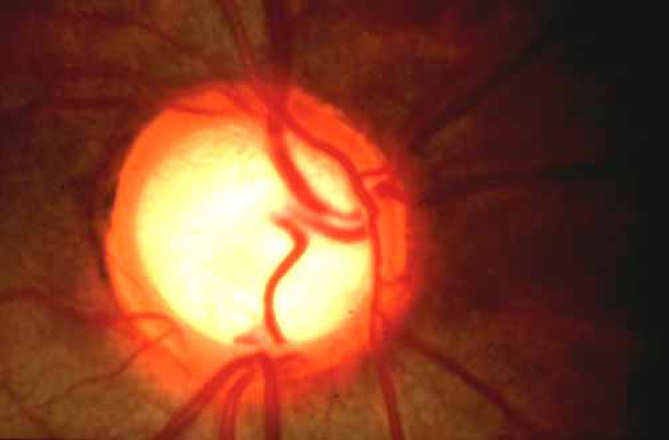 In Teva UK Ltd v Merck & Co, Inc  EWHC 2952 (Pat), 20 November 2009, Mr Justice Kitchin had to consider Teva's claims that (i) a Merck patent for an ophthalmic preparation for the treatment of glaucoma was invalid for obviousness in the light of a single item of prior art and common general knowledge and that (ii) the same patent was invalid for added matter and insufficiency. On the other side he had to consider Merck's uncondition application to amend the patent and Teva's response that the amendment was not allowable and that, even if it were, it still wouldn't save the patent. Holding the patent invalid for want of inventive step, the judge did not need to review the issue of insufficiency. "I think that Mr Birss [for Merck] is right that one must proceed with caution when faced with an obviousness attack based on a suggestion that the skilled person would embark on a research program in the course of which he would discover that a product or compound was effective. This is particularly so where the technical effect is one which is newly discovered, or impossible or very hard to predict. That is because the expectation of success may be zero, or inadequate to drive the research forward. In the end it will all depend on weighing the various factors as they appear from the evidence in the case. That is what I have endeavoured to do in the present case". This approach appears both realistic and fair: the only problem is deciding when the conditions for its application are present. Proof of availability the public: what standard? Some of you may already have read the IPKat's post this morning on the ruling of a Hearing Office of the UK's Intellectual Property Office in Ranger Services Ltd's application, BL O/362/09, 17 November 2009, concerning the status of cited prior art which had been obtained from an internet archive. Right: it may be prior art now, but when did it start to be so? "While it is relevant and appropriate for me to take note of EPO practice in such matters, it does not bind me in the way that UK law does. The maxim of the English Courts in civil matters is that the correct assessment to be made is on the “balance of probabilities”, whereas in criminal matters, it is one of “proof beyond reasonable doubt”. In this case, the recent EPO note would appear to support that this view, despite Mr Hirsz’s argument to the contrary, and I must therefore decide the issue on “the balance of probabilities”" (para.47). What is the position in other EPO Members? Do any readers know? 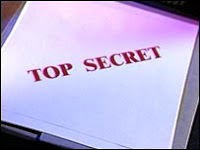 Community patents and ULPS: a secret system? "On December 3 and 4 ... the Competitiveness Council will assemble again to see if they can reach an agreement on 'a general political' approach for the Community patent/UPLS efforts. The question on what language(s) should be the common one(s) for a potential community patent remains a sore spot for many member states. [...]"
As Axel notes, the decision to build UPLS on the basis of an Agreement outside the EU Lisbon Treaty not only enables accession by non EU-States like Turkey but also means that the painstaking process of ensuring ratification by all EU member States plus interested States outside the EU has to start again. The Danish Government has already indicated (Document 14531/09) that this would require a transference of competence and therefore either a national referendum or a 5/6 majority in Parliament. The still-unpublished legal questions referred to the European Court of Justice (ECJ) are also still pending. PatLit notes that negotiations relating to the Anti Counterfeiting Trade Agreement (ACTA) have been conducted in conditions of almost total secrecy, which has caused a good deal of resentment. While not quite the same degree of black-out has accompanied the current burst of initiatives relating to the Community patent and UPLS proposals, there seems to be little willingness to open the substance of these proposals to the well-educated, skilled and highly-trained practitioners who will be responsible for making them work (or for demonstrating that they can't). In a representative democracy such as that which the European Union purports to be, lip-service is often given to the importance of there being a well-informed electorate, whose mature and considered wishes might be translated into legislative policy. However, a cynic might suggest that intellectual property policy is far too important a matter to be left to wider debate and that it is for interested parties to scavenge the contents of leaks, Tweets, blogs and the rumour-mills in search of a better understanding of current developments. In Leo Pharma A/S and Leo Laboratories Ltd v Sandoz Ltd  EWCA Civ 1188 the Court of Appeal for England and Wales (Lords Justices Jacob and Patten) today dismissed Sandoz's appeal against Mr Justice Floyd's finding in May, in  EWHC 996 (Pat), that Leo Pharma's patent was valid. "77. This appeal falls to be dismissed. I only add a couple of points. This is yet another case where validity has to be assessed by several national courts. We have reached the same result as that in Holland at first instance (where the argument was in part different). The Bundespatentgericht has gone the other way – but working on different prior art, prior art which Sandoz in this country abandoned. Different results in different countries based on different cases is, of course, explicable. It is an unfortunate state of affairs, curable only by a single European Patent Court". 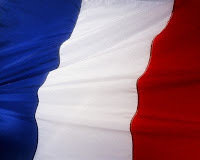 "In two decrees dated 9 October 2009 the French Government has reorganised its court system for intellectual property. As from the 1 November 2009 any disputes involving technical intellectual property rights, such as patents, utility models, supplementary protection certificates or semi-conductor design protection, will be heard in front of the Paris High Court. The Paris Court of Appeal will be responsible for hearing any appeals against decisions of the French Patent Office (INPI) relating to technical IP rights and also for non-residents in other IP matters. Only disputes between French residents involving the other matters, such as trademarks, protective designations of origin, design rights and copy-rights, will still be held in the existing regional courts. This concentration of all disputes in patent and related matters in France is particularly welcomed in the light of the recent changes in European law. There had been differences in the past between the existing courts in France concerning the revocation of patents after grant. It is to be hoped that centralising all such matters in one central court will lead to greater harmonisation of case law. The increased tendency of the Parisian Court to grant damages that are greater than the value of a pure license fee and also for compensating the winning parties for the costs of pursuing their case is also to be welcomed. The new central court in Paris will also simplify the procurement of inspection orders (“Anton Piller”) as it will no longer be necessary to find a local attorney with the required technical expertise to discuss the matter in a provincial court. The French Government hopes that the new measures will lead to the development of Paris as a forum for solving patent disputes that will be competitive with the courts in England and in Germany". * Décret n° 2009-1205 du 9 octobre 2009 fixant le siège et le ressort des juridictions en matière de propriété intellectuelle. "Though the text of the judgment is apparently not yet available, I understand (though my command of German is limited) that the question relates to the interpretation of the term “human embryo” in the Directive. 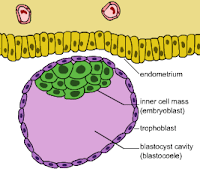 More particularly, the court raises the question whether stem cells gathered from a blastocyst (a specific stage of development of a fertilized egg cell) are considered human embryos even though they are as such no longer capable of developing into a human individual. The court would also like to know whether a blastocyst itself is to be considered an embryo in the sense of the Directive". Some background concerning the litigation leading to this reference, and some of its political dimensions, can be found on Mark Schweizer's post on the IPKat here. "Although the legislative switch to a "first-to-file" system invokes the idea of eliminating priority contests between two competing inventors, some proponents of first-to-file systems are actually asking for a more expansive absolute novelty system. In this survey, I am hoping to get a sense of the relative importance of these changes. The survey should take only about five minutes to complete". This afternoon University College London's Law Faculty hosted the second annual seminar on "The Future of Patent Litigation", under the auspices of the Institute of Brand and Innovation Law (IBIL) which was founded in 2007 by the late Professor Sir Hugh Laddie. Chaired by Professor Lionel Bently (University of Cambridge) the seminar was packed to the rafters as a capacity crowd received in rapt reverence the papers of Lord Justice Jackson (Litigation Costs), the Patents Court's Mr Justice Arnold (The Patents County Court) and Professor Adrian Zuckerman, University of Oxford (Civil Procedure as it Affects Patent Law). Lord Justice Jackson (right) issued a broad disclaimer: he was not an IP lawyer and was only speaking because of his involvement in the forthcoming report on civil litigation costs; he couldn't say anything about the report's contents since they were confidential -- and he couldn't even listen to what others had to say, since his consultation period had ended.Nor was he an authority on costs. However, having been asked by Master Rolls to undertake his review, he felt that as the most junior Lord Justice of Appeal he couldn't say no. Speaking without notes, Lord Justice Jackson gave a fascinating account of the methodology of the process leading to his report, as well as the pressure of a tight schedule. He had been given just one calendar year, which he divided into three phases: (i) the initial fact-finding; (ii)consultation, (iii) drafting the report. He did not however have to work alone; assisted by a panel of seven assessors meeting monthly, he had a sounding board for discussion of intractable problems. In Phase (i), encouraged by Dame Hazel Genn, he set about gathering costs from all the judges. Conceding that this was just one part of the picture since most cases settle before they reach a judge, he explained that a trawl was made of all costs cases over the period of one month. Added to this, he obtained data from insurance companies relating to out-of-court settlements in which they had been involved. A literature review was conducted, as well as outline studies of how overseas jurisdictions deal with costs. Adrian Zuckerman had recommended Germany: an effective fixed costs regime operated there, with software to enable the user to discover recoverable costs in every case. Also examined was the United States, where there is no cost regime, subject to certain exceptions. 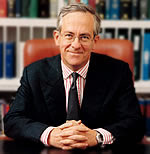 While intellectual property constituted just one fifth of one chapter out of the 64 in his report, Lord Justice Jackson stated that IP litigation was still a very important topic: IP was the only area in the civil justice system where users on both sides of fence were pressing for a fixed costs regime in addition to fast-track litigation. It was also mentioned that the UK's IP courts are to some extent in competition with those of continental Europe. In Phase (ii) he attended a large number of meetings with user groups and sectoral interests. Four large seminars were organised by the Master of the Rolls' office, plus other seminars on legal aid, conditional fee arrangements (CFAs) etc. He sought to gather the views of lawyers, court users and the Federation of Small Businesses as well as reading thousands of pages of submissions by the cut-off stage of Phase (ii), 31 July 2009. Phase (iii) has been a period of working steadily on the report, with the assistance of a solicitor from Lovells and an accountant from Deloittes. Big issues included whether and, if so, how to fix costs; what to do about CFAs; is it right for a litigant to increase the risk of cost to the other side via a contract he makes with his lawyer? Strong views have been expressed on each side of these issues, which means that the report will be heartily condemned whatever it says. “Costs are a sore point”, said his Lordship, in what must have been the understatement of the evening. Other issues were also sore, though. One interesting question is whether contingency fees should be a percentage of the damages awarded. Should we follow the Ontario route, allowing the successful litigant to recover just his conventional costs but to pay the rest out of his own pocket? In the field of personal injury litigation, a successful plaintiff might lose around 5% of the awarded damages on this basis. What do we do about disclosure, “a massive driver of costs”, he asked. Masses of emails and other documentary material are now recorded electronically, and costs with regard to their disclosure can become astronomic. New rules to control electronic disclosure will come in next year anyway. In contrast, in continental Europe there is little or no disclosure. Perhaps we should order standard disclosure less often, or make it more specific as is the case under IBA arbitration rules. A range of view has been expressed on these issues, but no consensus has emerged. Lord Justice Jackson concluded that the Review had to be delivered by the end of December, and that a couple of early copies would be submitted then. However, it was unlikely to be publicly available before mid-January 2010, when it would emerge in both hard copy and online versions. Speaking next, Mr Justice Arnold spoke of the great efforts that have been made by the Intellectual Property Court Users' Group Working Committee to enhance the performance of the Patents County Court and to make it swifter, cheaper and more accessible to small and medium-sized entities (readers may recall that this theme was the subject of his lecture to the CIPA Congress earlier this year: see PatLit here). He reminded the audience that patent lawyers are expensive and that SMEs can be priced out of the system. The objective of the Working Group was to focus on low-cost, less complex claims. Its proposals, submitted just in time for consideration by the Jackson Review on 31 July, did not address Patents Court costs or litigation at all. The most welcome part of Mr Justice Arnold's talk for this member of the audience came when he addressed the role of the case management conference. He emphasized that the judge has important role, since the case management conference is not “mere directions hearing”. It is for the judge to make firm decisions with regard to potentially expensive issues such as the extent to which disclosure should be ordered and the need for experiments, further factual evidence, expert evidence, cross-examination and further written arguments. The judge should only order them if they’re (i) related to specific identified issues and (ii) proportional in terms of costs. 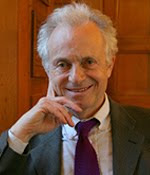 Addressing civil procedural issues, Professor Zuckerman followed Lord Justice Jackson's precedent and declared himself not to be an IP expert; he did however recognise the role of specialist intellectual property courts as a means of providing the necessary degree of expertise and of bringing specialist knowledge to bear. In this vein he discussed the problems that arise when IP litigation leaves the specialist courts and re-enters the mainstream. By way of example he related the case of Doncaster Pharmaceuticals v Bolton Pharmaceutical 100 Ltd (click here for criticism of this decision by the IPKat), in which a Court of Appeal consisting of non-IP experts substituted their own opinion for that of an IP judge as to whether a case could be disposed of by summary judgment or go to full trial: Mummery LJ expressed the view that specialist knowledge was simply not needed in such cases. disputes by keeping their cheaper competitors off the market. This sort of practice, common in the United States where the Wax-Hatchman Act prevailed, was not apparently prevalent in Europe -- though the Commission is keeping watchful eye on the pharma sector. [At this point I had to leave. If I receive further information concerning the seminar, I shall be happy to post it with due attribution]. The UPLS: will it make a real difference? The final session of todday's "Standards and Patents" conference was dedicated to the Unified Patent Litigation System (UPLS, or "Upples" as I like to think of it), the new reality now that EPLA, the European Patent Litigation Agreement, is dead and buried. First to speak was Nokia Director of IPR, Regulatory Affairs, Tim Frain (right), who gave an up-to-the-minute account of the impending reality of an international convention, which should be done and dusted this December. Tim's PowerPoints, which are as information-rich as they are visually riveting, can be viewed here. Tim's presentation was followed by mine. Since Tim had covered the subject so well, I chose to argue the thesis of "change = no change", suggesting that the position of patent owners and litigants in Europe post-UPLS -- in terms of business plans, risk, strategy, interference from competition authorities and so on -- would be much the same as they are at present. My PowerPoints, which give some idea of my points but do not adumbrate them in detail, can be accessed here. Attending Day Two of the "Standards and Patents" conference this morning, I was among the international audience of participants drawn from industry, standards organisations and private practice who were privileged to hear Mr Justice Floyd speak on the subject “Patents and Standards: the role of the courts”. Floyd J explained that patent standards litigation was really a new breed of patent trial. Old-style trials would typically consume 4-5 days, addressing the usual issues of validity and infringement of a single patent. Standards trials were different: the parties are usually litigating over a bundle of patents and are having recourse to the courts because they had failed to agree licence terms; they’re not so much interested in a judgment that stops anyone infringing but, rather, they want the court to weigh their patent portfolio against the portfolios of others. New issues arise, in particular essentiality: is a particular patent essential to the operation of a standard? From its owner’s view the best patent is the one you have to infringe if you’re going to manufacture, since that's what makes it essential. Another new issue is the assessment of FRAND licensing principles: on what basis are these principles embodied? The judge related that, in England and Wales, the old Order 15 r 6, relating to declaratory judgments, was a tool that developed considerably over the years. Binding declarations of right might be made under it, regardless of whether other relief may be claimed. After the Woolf Reforms of 2000, the CPR 40.20 is thought to have broadened this rule, providing for declaratory relief regardless of whether any other cause of action is asserted. Originally it was thought that a party couldn’t seek a declaration if he wasn’t being sued. “But things have moved on”: the judge mentioned what Lord Woolf said in Messier Dowty v Sabena: the courts should not be reluctant to grant declarations if they assist in doing justice (Lord Woolf). The effect of granting a declaration must not however be pointless, like “shouting in an empty room” (to quote the late Sir Nicholas Pumfrey). Floyd J emphasised that declarations of inessentiality were not the same as declarations of non-infringement, for which there is a statutory basis. There must however be a real dispute between the parties. He then displayed a useful little table which summarised the differences between the declaration of non-infringement and the declaration of inessentiality. In the case of the latter there was no need for a product and process description (PPD) – but there should be an intention to manufacture in accordance with the standard. Moving on to the litigation between InterDigital and Nokia, the judge observed that 29 InterDigital patents had been reduced to 7 following the exchange of written evidence. InterDigital then advanced no case on three, leaving just four, which included a patent and its divisional. In the event, only one patent was held essential to the standard. To show how the system can work, Floyd J then gave an example of a paradigm case which should ideally be settled commercially rather than litigated (“Please don’t regard the courts as the first port of call”). Alluding to case management problems, the judge asked: do we assume that everything will be dealt with at a single trial, or do we break the issues up? 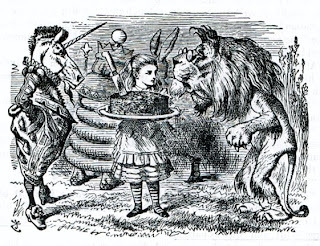 “For a judge, having to plough through 35 patents is a nightmare”. He recalled his own experiences: “When I was faced with the first one of these cases, the parties had already agreed a broken-up way of trying it”, in five bite-sized slots. Since it would be intolerable for the experts, counsel and solicitors to be handling all these cases together, the parties agreed, with the judge’s consent, to break the litigation up into two or three teams. Floyd J did not give his blessing to this proposal since, if the toll was too great for the litigants and their advisors, it was far more so for him. This coming Tuesday afternoon I'm sharing an IBC Informa conference platform with Tim Frain (Director of IPR, Regulatory Affairs at Nokia) on the subject "Developments in Connection with a Unified Patent Litigation System for Europe". Tim is giving some background and explaining the meat of the current proposals, looking at them not merely from a patent-owner's point of view but in the context of the 'Standards & Patents' theme of the conference. My task is to put together a collection of perspectives that I can bounce off the proposals, leading into the discussion session. I can produce my own list of 'favourite topics', but I feel that my contribution to the day's programme would be enhanced if I could reflect some of the informed and thought-out opinions of colleagues who are involved at the coalface of patent litigation rather than (as in my case) the standpoint of the enthusiastic spectator. Above: will the unique characteristics of national patent dispute resolution system be lost or merged into a unified system once consensus is agreed? If there are any issues you'd like me to mention, or points you'd like me to raise, please email me here and let me know. If you'd rather I didn't mention you as the source or inspiration of my comments, please just say so. In return, I hope to be able to report on anything of particular interest or note which is said during or after the session. How easily can multi-issue disputes be slimmed down? Fresh out today, and far too long to read in an instant, is the decision of Mr Justice Floyd (Patents Court, England and Wales) in Grimme Landmaschinenfabrik GmbH & co. KG v Derek Scott (trading as Scotts Potato Machinery)  EWHC 2691 (Pat). 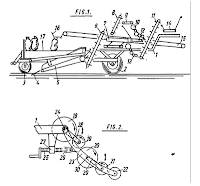 It's an action for patent and design infringement in respect of a machine for separating potatoes from weeds, earth, clods, stones and haulm, met by a defence of non-infringement and a counterclaim for invalidity of Grimme's rights and ungrounded threats to sue for patent and design infringement. Both sides seems to be the winners/losers in that, while Claim 1 of the Patent is invalid for obviousness, Claims 17 and 24 are valid; Claim 17 is infringed in some circumstances (both directly and indirectly) but Claim 24 is not; the design rights were not commonplace and were infringed in respect of the defendant's original product but not a subsequent version; the counterclaim for unjustified threats of patent infringement proceedings failed, while that for design right infringement succeeded. Apart from wondering what the costs order is going to look like, PatLit finds itself wondering how much time might have been saved by any of the various procedural reforms that have been discussed in the past year. While the court needed five hearing days, the variety of issues under consideration and the need to examine witnesses suggests that there wouldn't be much scope for savings here. As ever, readers' comments are welcome. "New Developments In Swiss Patent Law", an article by Andrea Mondini, and Philipp Groz (Schellenberg Wittmer, Zurich) last month in IP Frontline, reviews the structure and functionality of the Swiss court system as it affects patent litigation. The authors explain that, with around 30 patent proceedings a year, split between the 26 Swiss cantons, most cantonal courts of first instance have only little practical experience in patent litigation and are not presented with enough opportunities to develop the necessary technical and legal expertise (most of the 30 are split between just four of those cantonal courts anyway). This has led to the concentration of the jurisdiction for patent cases into a single specialized court, a move which is also expected to make Swiss patent litigation swifter and more attractive to those for whom the prospect of forum-shopping is available. The new Patent Court Act (PatCA) creates a special federal trial court with exclusive jurisdiction over all Swiss disputes regarding validity and infringement, as well as applications for pre-trial relief. Related disputes, such as those involving royalty payments, may be brought either before the new court or, as before, to a cantonal court. The court will designate one of Switzerland's three official languages (German, French and Italian) as the language of the proceedings, though. another official language may be used for for submissions and oral arguments. With the consent of the court and the parties, English may also be used. The creation of the Federal Patent Court does not affect the parties' freedom to submit patent disputes to arbitration. Court reform: nothing to avail those in the middle? "I do however fear that this system still caters only for those at the extremes -- those who are litigating patents which have considerable commercial importance, so-called 'big ticket' litigation, at the one end and those involved in more modest low-value disputes at the other. I believe that there is a significant number of companies who are caught in the middle and cannot avail themselves of either alternative". You can read Michael's article here.